Our firm is often asked to enter judgments on behalf of creditors. A judgment can be obtained in several ways. If a lawsuit is brought, and the defendant does not respond, a default judgment may be obtained. A case may also go to trial, and, if successful, a judgment may result. In addition, other situation can arise where a client obtains a judgment in another state, other than New York. These are known as “foreign” judgments, even though they are still obtained within the United States. 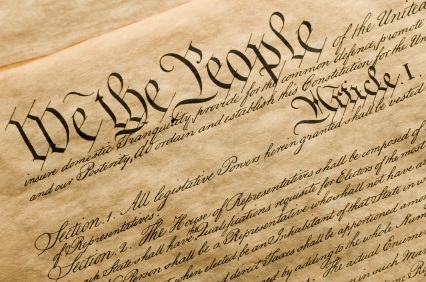 Article IV, Section 1 of the Constitution says that “[F]ull Faith and Credit shall be given in each State to the public Acts, Records, and judicial Proceedings of every other State.” This means that if a lawsuit is brought in another state, goes to trial, and a judgment is obtained, then every state in the U.S. must consider that judgment valid, and allow it to be entered in their own state. The main reason that one would want a foreign judgment entered in New York is because the debtor has assets within New York. Collecting such a judgment will be addressed in the second part of this blog post. New York Civil Practice Law and Rules Article 54 regulates the entry of foreign judgments in New York State. It allows foreign judgments which were not obtained by default or confession of judgment to be entered in New York. In order to enter such a judgment, the original judgment must be authenticated. This generally means that an official, such as a Judge, in the state where the original judgment was entered, must provide an affidavit that the judgment is currently valid. The original judgment must usually contain a raised seal from the originating state. In addition, the judgment creditor must provide an affidavit stating that the judgment was not entered by default, that it has not been paid, and provide the name and last known address of the judgment debtor. Our firm has extensive experience in preparing such affidavits and entering foreign judgments in New York State. Once the judgment has been entered in New York, C.P.L.R. § 5403 requires the judgment creditor to provide the judgment debtor with notice of its entry at his last known address. Once the debtor has been so advised, the judgment creditor may proceed with her attempts to collect on the judgment. Collection of a judgment is not always a simple matter. New York State Courts do not have a legal mechanism whereby a judgment creditor can convert an entered judgment into cash. In order to collect, an experienced collection attorney is usually engaged. The first goal in collecting a judgment is to locate the assets of the debtor. Assets can be real property, bank accounts, vehicles, or anything else of value owned by the debtor. Once assets have been located, an execution can be issued to the marshal or sheriff of the county in which the property is located. If the assets are located within New York State, it is necessary to have a valid judgment entered in New York State to execute on the assets. This is the main reason why foreign judgments are entered in New York, or any other state in which the debtor may own property. If the debtor is earning wages within New York State, then a wage garnishment can also be issued to collect a portion of their wages. New York statutes limit the amount which can be collected through a wage garnishment. Again, an entered judgment in New York is necessary to issue a wage garnishment within the State. If the debtor works in another state, then the judgment must be entered in that State in order to collection a portion of the debtor’s earnings. Weiss & Weiss welcomes all inquiries relating to the entry of foreign judgments and their collection in New York State.